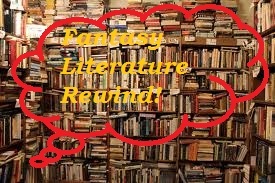 Fairy Tale Fandom: Fantasy Literature Rewind: The Oz Books. Fantasy Literature Rewind: The Oz Books. Ah, Oz! The great American fairy tale! Well, the great American children’s fantasy series at the very least. But fairy tales did have a part in Oz’s creation. With NBC showing their decidedly darker take on Oz with Emerald City, I thought it would be a good time to go back to the Oz well and give these books a proper post all their own. You may recall that I touched on Oz before, notably for one of my more poignant posts. Also, I’d like to note that this post was nearly about just the first book, but I found it hard not to think of it in terms of the series as a whole (or at least all the parts of it I’ve read). Anyway, the Oz books are the works of an American writer and actor named Lyman Frank Baum (L. Frank Baum for short). After having some success with his first book aimed at younger audiences, Father Goose, Baum hit on the idea of writing his own “wonder tale”. His feeling was that the old fairy tales of Europe were rapidly becoming outdated for modern, American children. He particularly didn’t see the point for the more gruesome endings to the Grimm Brothers stories, which were usually used to teach a lesson. He felt that modern education of the time served well enough to teach morality (some even now would argue the opposite, but that’s how he felt). 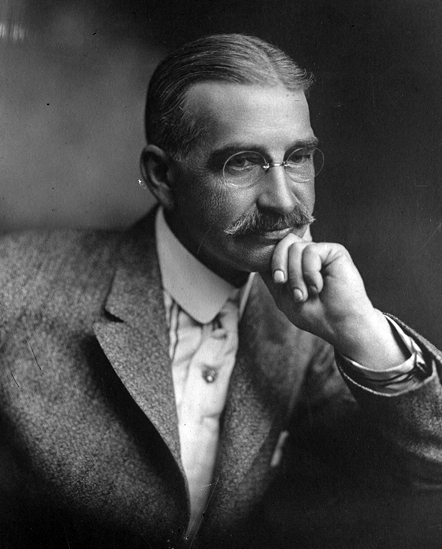 So, from this impulse The Wonderful Wizard of Oz was born. And it went on to be one of the longest children’s fantasy series ever published. Though, it was not without some promotional help. 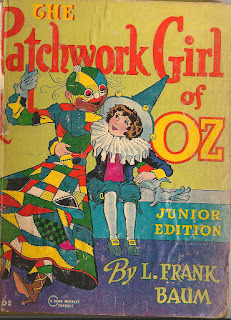 Baum adapted the book to the stage himself rather early on and would later make some silent Oz movies. And also not without some trepidation, once he saw the juggernaut he had created. Baum had wanted to end the series at numerous points but the demand kept him writing more sequels. He did write some other children’s fantasy books, but none quite as popular as the Oz series. But one notable thing about the Oz series is that it’s a uniquely American fantasy series. What are some of the things that mark this series as very American? Well, let’s take a look. First of all, most of the books are “road trip” stories. While travelling and quests are hardly new material for any sort of fantasy, travel holds a special place in the American psyche ranging from the family car trip to the movement of pioneers during westward expansion. This is probably because of the fact that the American landscape is rather vast and perhaps a little bit too spread out. 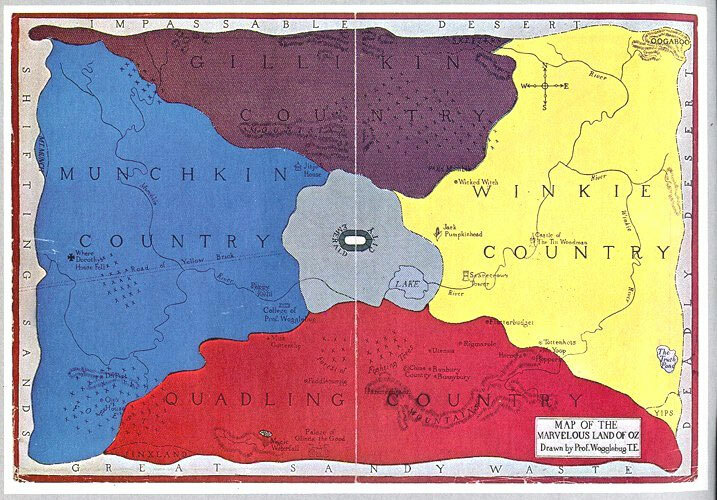 The Land of Oz also directly reflects the way in which the United States has routinely been divided during its early history. Prior to the American Civil War, everything seemed divided between North and South. After the Civil War, when the drive became greater to expand the country to the Pacific, the split became between the East and the West. So, when the first book has Dorothy first come to Oz, we have good witches in the North and South, a wicked witch of the East lying dead and a wicked witch in the West that is still in power. So, the North and South have already been tamed, the East has been defeated and the West still needs to be won. In fact, there is a sort of sense of the “frontier” throughout Oz that makes it different from most European fantasy. European fantasy often draws on the pagan past as a source of its magic. Oz’s magic and strangeness come from something else. When Dorothy first meets the Good Witch of the North, Dorothy says that Aunt Em had told her that all the witches had died ages ago. The Good Witch asks her if Kansas is a civilized country, which Dorothy responds to in the affirmative. The Good Witch then explains that the reason why Oz still has witches is that it is an uncivilized country. So, that’s the reason. Despite the different peoples and the towns and cities, the reason Oz still has magic and witches is because it is in some way still wild and untamed. Of course, human beings will either adapt to the wildness or subsume it, which is what Dorothy does in the later books. In The Emerald City of Oz, Dorothy, Aunt Em and Uncle Henry all move to Oz permanently. This kind of reflects the changing attitude to what was once the American frontier. In The Wonderful Wizard of Oz, Baum describes Kansas as being gray, hard and foreboding. But now most people think of Kansas and the Midwest as a whole as being quaint and homey. There’s more to touch on. For example, there’s an entire school of thought that believes The Wonderful Wizard of Oz is reflective of the Populist Movement. I’ll just provide a link HERE. However, while there are some things that are evidence of America’s past, there are some places where it was ahead of its time. One notable thing is that Oz is one of the popular fantasy realms where everyone who holds any power of consequence is female, whether it’s the four witches, Princess Ozma or even primary antagonists like Dorothy. Most of the male characters either feel they’re lacking something or are a fraud like the Wizard. This probably stems from the fact that L. Frank Baum was in fact married to Matilda Joslyn Gage, who was a suffragist and considered a radical feminist at the time. Her political opinions probably filtered into some of Baum’s work. Also, some of the magical devices he imagined for Oz, presaged future mechanical devices like television and wireless phones. But really, though I’ve made all these observations, I think there’s something else that really defines Oz for me. Just as a country should be defined by its people, Oz is defined by its characters (and yes, I know I’ve talked about this before). 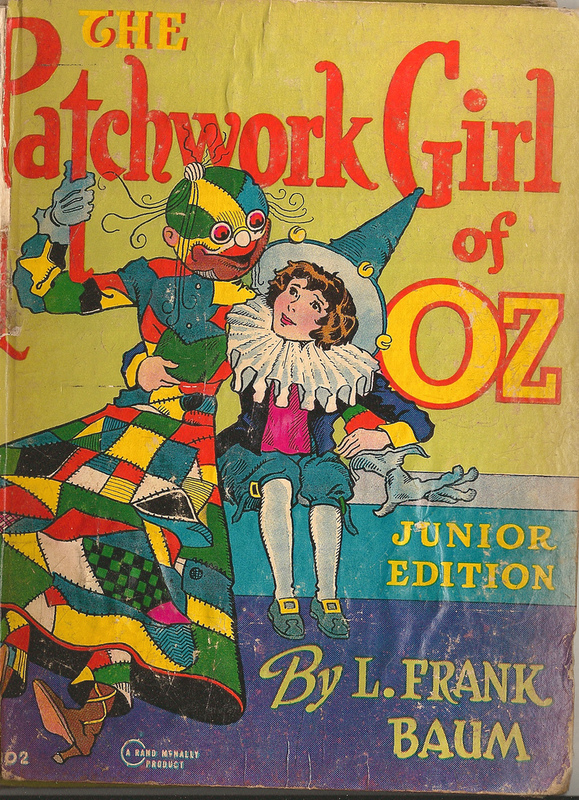 Early American children’s literature is often marked by its sense of whimsy and Oz has whimsical characters to spare. Everyone knows the Scarecrow, Tin Woodman and Cowardly Lion from the MGM movie. How about Jack Pumpkinhead, who helped Ozma escape from the witch Mombi? How about the beautiful and ethereal Polychrome, the Rainbow’s Daughter? Or maybe the Woozy? There’s also Scraps Patchwork, in all her whimsical, playful, poetical glory. Or the Shaggy Man, Button Bright, Ozma, Ojo the Unlucky, the Gump, the Glass Cat, the Woggle-Bug, Tik-Tok, the Very Hungry Tiger, General Jinjur or any number of others? Heck, the Land of Oz even has its own immigrants. Not just Dorothy and her family who moved there. There are also the characters Tiny Trot and Captain Bill, who started off in another book The Sea Fairies and moved over to the Oz series later. Oz has one of the most diverse, vibrant and inventive casts of characters in all of children’s fantasy and that’s one of the things that makes the Oz books worth loving if nothing else. I’m sure there’s more that I can say about Oz, but I’ll leave those things for other posts. Instead, to tip my hat to the classic movie that keeps Oz in the forefront of many people’s minds, I’ll have The Blanks play me out. And I’ll see you all on the road to the Emerald City. 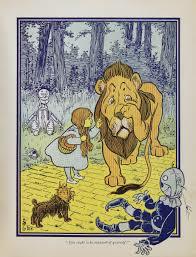 So interesting, I didn't know all this about the history of the Oz books! I haven't read them all but I feel like I should give them another read. Thanks for sharing!